Overland Park, Kansas is the second largest city in Kansas and has a massive police force. Given the fact that there are a lot of bars and restaurants in Overland Park, and almost no public transportation, the Overland Park Municipal Court handles a large number of DUI cases. The Overland Park Police Department has a special department called the Traffic Safety Unit and between sunset and sunrise their task is to write DUI cases. Overland Park also frequently conducts DUI checklanes and saturation patrols. If a person is arrested for a DUI in Overland Park and is a Johnson County resident, the police officer will usually allow that person to be picked up by a sober adult after being processed at the police station, and they will be given a notice to appear in the Overland Park Municipal Court. 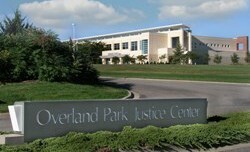 The Overland Park Municipal Court runs full-time from 8:00 a.m. until 5:00 p.m. Monday through Friday. There are usually four full-time prosecutors employed by the city, and many more lawyers in the City Attorney’s Office peripherally involved in OP DUI prosecutions. There are two full-time judges in Overland Park, and often both are hearing cases at the same time. They have huge dockets and see a lot of people each week. Overland Park is the only city in Johnson County where you have to pass through a security checkpoint in order to enter the building! The Overland Park Municipal Court takes itself very seriously and Overland Park DUI cases must be taken very seriously by persons who are accused and Overland Park DUI defense lawyers. In most cities in Johnson County, probations and diversions are monitored by one of the several agencies approved to provide substance abuse evaluations and monitoring. The Overland Park Municipal Court has its own Court Services department and these are the probation and diversion monitors for the court. If you have ever had any prior contacts with the law, the Overland Park Municipal Court requires that you obtain a substance abuse evaluation through its Court Services department and not from an outside agency. If you are placed on diversion or probation, you are required by the court to be monitored by Overland Park Court Services as opposed to an outside agency as would be the case with most cities. A person on probation or diversion for an Overland Park DUI can expect frequent urinalysis and breath testing, monthly meetings with their officer at the Overland Park Municipal Court, and that it will be very expensive. An Overland Park, Kansas DUI diversion or conviction will likely cost you more money than the same diversion or conviction in any other city. A first-time DUI diversion or conviction will cost in excess of $1,000.00 for court costs, diversion fees, fines, monitoring fees and ADSAP assessment. Generally, you have to have this money up-front before you can be placed on diversion. If you are given time to pay, you will have monthly court dates to review your payment progress. The court will allow fines and fees to be paid by doing community service, at the rate of $5.00 per hour. A second-time DUI in Overland Park will often cost in excess of $1,500.00. You will even get charged for each day that you spend in jail! So, getting convicted is not cheap. It is important to hire an attorney that is familiar with the Overland Park Municipal Court and its unique processes, policies and rules if you want to have any chance at beating a drunk driving case. The Overland Park Municipal Court has standing orders and local rules concerning discovery and motions practice that are different from other courts in the area. The prosecutors have their own policies and procedures for handling DUI cases which are different from the way things are done in other cities. 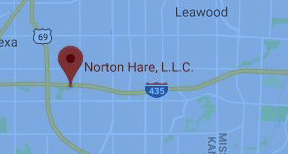 Our law firm’s offices are located in Corporate Woods in Overland Park, just a few minutes away from the Overland Park Municipal Court and our attorneys appear in that courthouse almost every week of the year. We have handled a lot of Overland Park drunk driving defense cases over the years and are very familiar with how that court works. If you have been charged with a DUI in Overland Park, your interests are served best by an experienced Kansas DUI lawyer who will fight for you and protect your interests.